to make possible four distinct camera tracking shots. When using the Parallel Pan function, the camera is always facing one specific direction. This function is comparable with that of a slider, and attains extremely vivid results. This is due to the foreground and the background shifting relative to one another, which yields an impressively multi-dimensional depth. 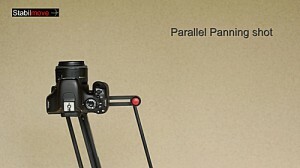 The adjustment knobs on the two guide arms are set to the outer edge to create a Parallel Pan shot. With the Circular Pivot the camera stays angled toward the subject matter. 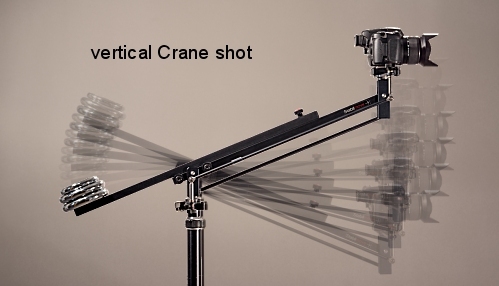 Due to the camera automatically turning itself simultaneously to the crane’s rotation, the resulting shots are incredibly fluid and balanced. Until now, this kind of result was only possible with considerable technical efforts. 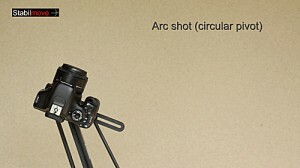 The adjustment knob on the upper guide arm gets slid toward the camera for a Circular Pivot shot; the distance from the subject matter determines how far the adjustment knob should be positioned from the camera. The Broad Pivot is essentially a panoramic pan. However, in comparison to a tilting video head, the shots are markedly more spacious. With this function, the multi-dimensionality and depth of the pivot is also attained through the sliding of the foreground and the background relative to one another. For this pivot, the adjustment knob on the bottom guide arm gets slid toward the tripod mount. The further the adjustment knob gets slid, the bigger the panorama pivot will be. 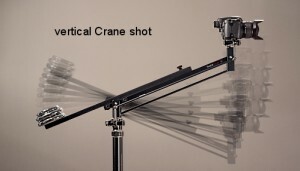 With Stabilmove cranes we recommend employing the use of a ballhead, which markedly broadens the subject field. 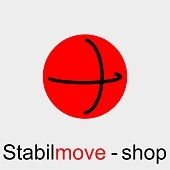 Each crane from Stabilmove is equipped with a quick change system; the necessary adaptor counterpart for the tripod and camera are not included with the purchase of a crane. This accessory can be ordered extra from our shop.